With the new year comes new trends, new ideas and new wedding concepts! As always, picking wedding colors comes down to your bridal style and personal preference, along with matching with the selected theme. We're so excited to share a few color trends we're looking forward to in 2017. We're going to see a few of our favorite colors & trends from 2015 and 2016 - but with a fun & new twist! The 2017 Pantone color of the year is greenery. According to Pantone’s website, greenery is “a refreshing and revitalizing shade…symbolic of new beginnings.” Pantone also mentioned that the color represents the “pursuit of personal passions and vitality.” Greens are used frequently in wedding celebrations regardless of the theme. Color reflects personal style, but here are some ideas for 2017 wedding color combinations. Wood has been a popular element for bohemian and rustic weddings. This color combination represents earth, nature and stability. Below are a few examples of how greenery, white and wood can be incorporated into your special celebration - including decor such as centerpieces, wood features and flowers and shrubbery. 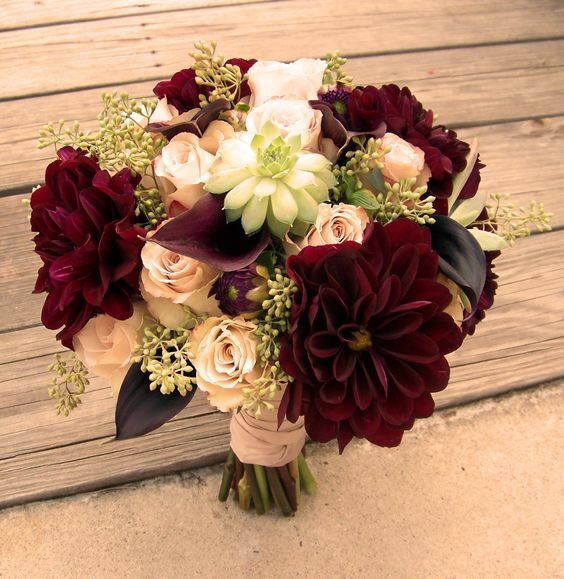 For brides who want to bring richer, darker colors into their celebrations, burgundy is a great color to incorporate. Not only does it add a sultry element, but it also is great for the beginning of the new year when the temperatures are lower. This burgundy color can be added in with flowers, candles or bridesmaid dresses. Blush is soft, delicate color that exudes femininity. However, it isn’t too overwhelming and adds a very subtle pop of color. Blush and gold really complement each other and the greenery elements will bring luxurious tones to your wedding festivities. White and various shades of blues are perfect for weddings at almost every time of year. YOu can incorporate sky blue in your flowers, linens and bridesmaids dresses. Sky blue is a calming color which also exudes respect and inspiration. Overall, greenery can really be added to any color combination. Happy planning and we hope you can find a way to add greenery, the 2017 color of the year, into your wedding! 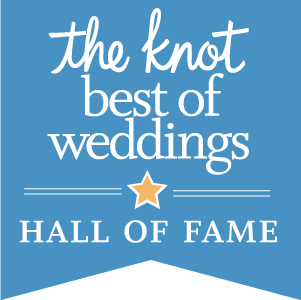 Looking for more wedding decor & style ideas? Follow us on Instagram!